In late January 1882 Mesny arrived at Baoding, the capital of Zhili province. Wrapped protectively around Beijing, Zhili was heavily militarised and only absolutely trusted ministers were put in charge; its viceroy was Li Hongzhang, a scholar-turned-general who had fought his way to Imperial recognition during the Taiping Rebellion. Li had since become one of the most powerful men in China: in 1874 he raised a private army in support of the Empress Dowager Cixi during a palace coup, which successfully overthrew a faction which wanted to depose the child emperor Guangxu. The aftermath saw Cixi become China’s effective ruler, and as a reward Li was appointed Senior Grand Secretary and posted to Zhili, a position which he held for twenty-five years. 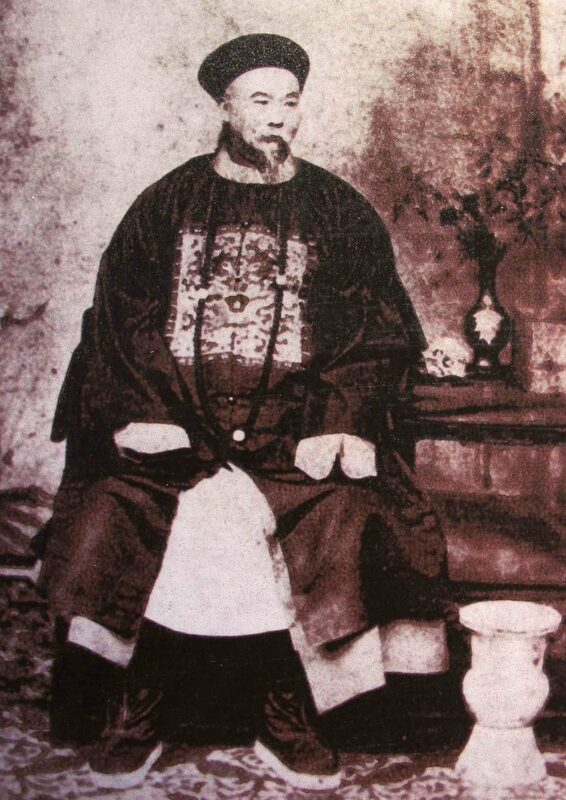 Whilst Li Hongzhang was utterly convinced of China’s cultural superiority compared with the West, he was no foreign technophobe: only a month before Mesny’s arrival, he had overseen the construction of China’s first long-distance telegraph line, and was later to invest heavily in railways and steamships. However, a famous statement by Li made it clear that his position was pro-modernisation, not pro-Western: “In order to transform China into a strong nation we must acquire the use of modern weapons, and for this we must install machinery for making those weapons. By learning foreign methods, we shall no longer depend on the foreigners’ services.” Li’s diplomatic career was to develop into a delicate balancing act between foreign powers and Chinese political factions, and in the process he became a figurehead in the Western mind for all that was grand but devious in Chinese bureaucracy. Mesny now secured an interview with Li, proposing a generalised raft of schemes for introducing railways, mining and communications to China’s interior. 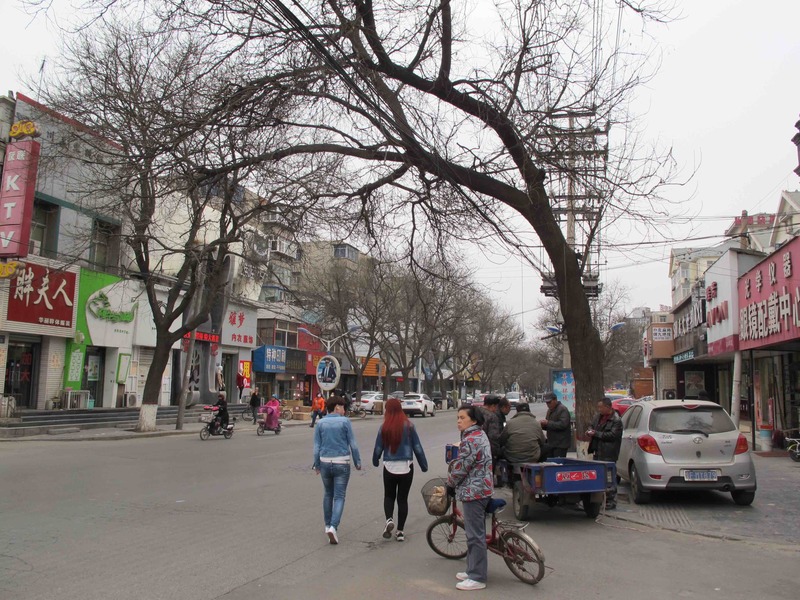 But Li, perhaps feeling that he already knew more about these subjects than did Mesny himself, seemed disinterested, and so Mesny continued to Beijing. 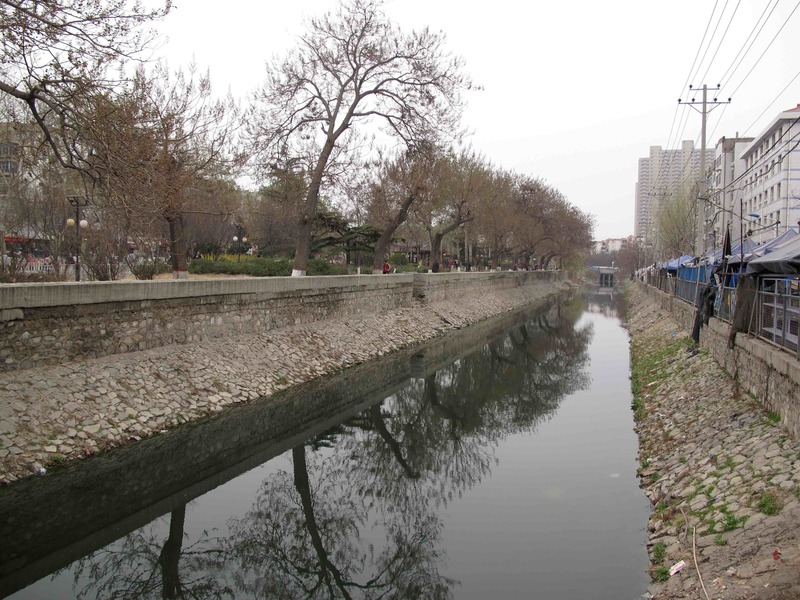 A few weeks later, Mesny passed back through Baoding en route to take up a post with a then-unknown official named Zhang Zhidong, who was later to spearhead China’s industrialisation programme. This time, Li Hongzhang – perhaps spurred on by the thought of losing this eager foreigner’s services to a political rival – assured Mesny that his talents would be wasted out in the provinces, and proposed that he take up a military command at Beijing with one of his own Huai Army battalions. This was an extraordinary opportunity: the patronage of China’s most powerful statesman would have set Mesny up for life, and it’s excruciating to read of him casually turning Li down, explaining with naive candour that he had already given his word to work for Zhang. For somebody who had spent so long in China, Mesny seems to have had a poor appreciation of “face”, the need to publicly honour an individual’s self-respect. Li Hongzhang was seriously offended by Mesny’s tactless rejection, especially as it was made in favour of accepting a vague post with an unknown, first-time provincial governor of no proven ability, and Li’s enmity was to blight Mesny’s later career. 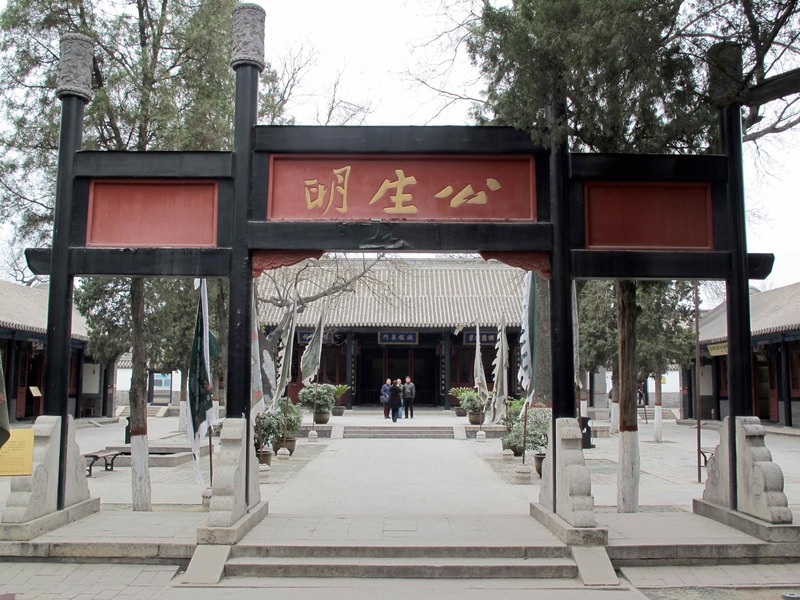 Modern Baoding is a small, messy, friendly, unpretentious town with loads of street life and a few old buildings, including the Qing dynasty government offices – complete with gateway calligraphy (公生明, implying “Public Service Inspired by Justice”) and a waxworks of Li Hongzhang drinking tea in the audience room. 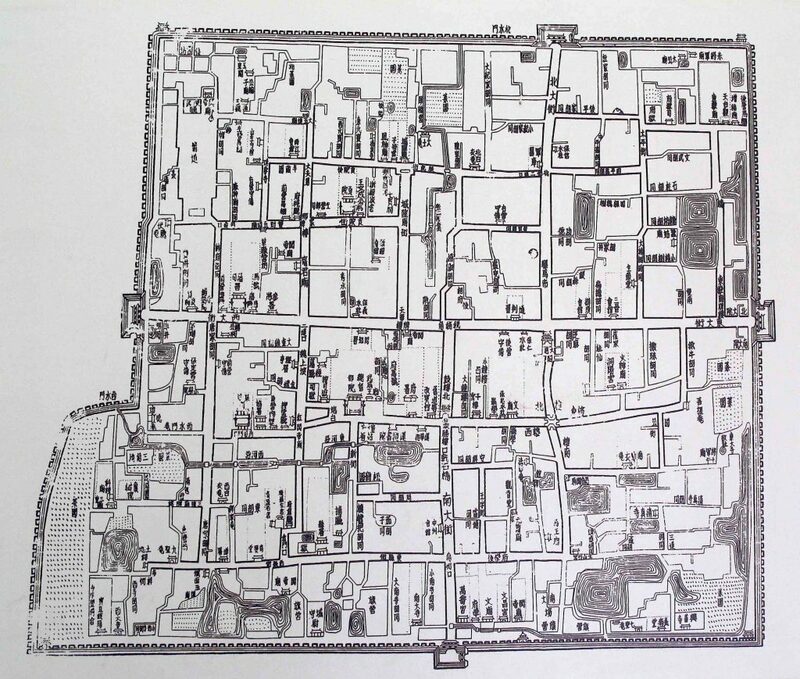 Baoding’s original grid-like street plan remains clear too, and though the city walls have come down, old defensive canals still ring the centre.